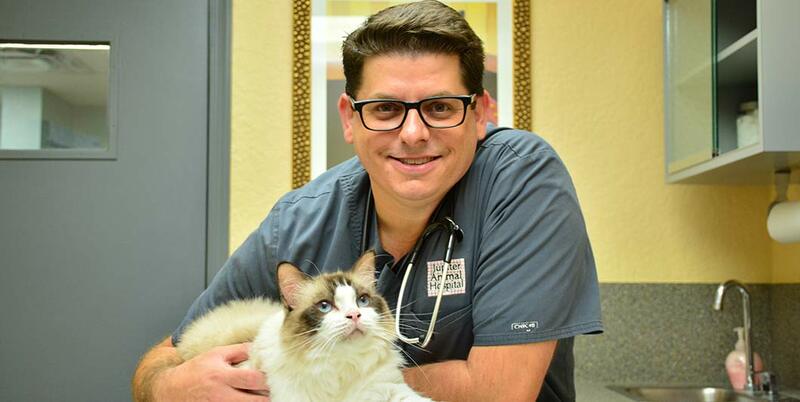 Dr. Gerard is the owner of Jupiter Animal Hospital and is very excited to continue to serve the clients of this growing hospital. He is a south Florida native growing up in Plantation and has been working in the Palm Beach area since 2004. Prior to returning back to the Palm Beaches, he graduated from the University of Florida College of Veterinary Medicine and continued his specialized training in small animal medicine and surgery at the Angell Animal Medical Center in Boston, Massachusetts. 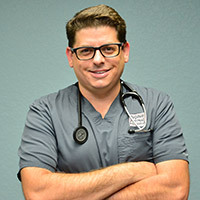 Dr. Gerard has a particular interest in internal medicine and emergency/critical care and worked for 5 years as a emergency/critical care veterinarian at the referral center, Palm Beach Veterinary Specialists. He is an active member of the AVMA, FVMA, PBVS, AAHA, and VECCS. Dr. Gerard and his beautiful wife are the proud parents of two beautiful daughters, Amelia and Marin, and a handsome son, Caden. He also has two very adorable four-legged children, an English Bulldog named Bella and a Miniature Dachshund named Hazel named Hazel. When he is not busy at the hospital, Dr. Gerard loves to be on his boat and go waterskiing. He and his wife, Kimberly, also have a special interest in musical theater and have become big supporters of the local Maltz Jupiter Theater.